Oh gosh I mentioned this on Wednesday but I hadn't got photos of them in their costumes yet. 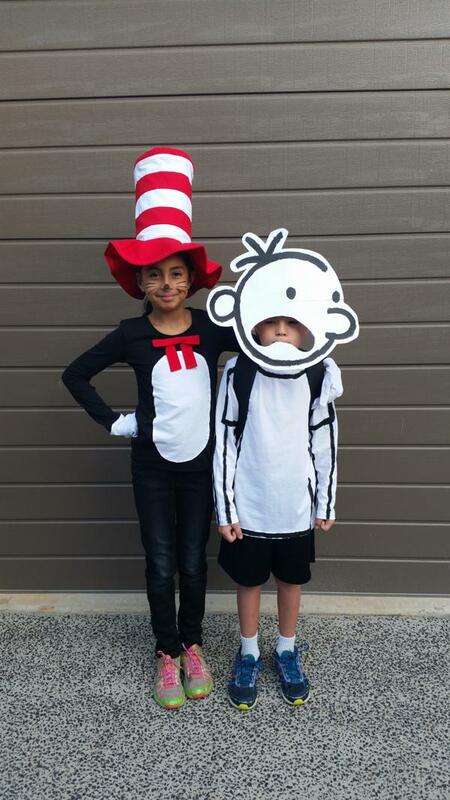 They had book week this week and of course being me I HAD to make them their costumes. I'm not going to go into how exactly I made them here. I am talking a bit about the creative process that went into them over at www.andsewwecraft.com but more so because I just kinda threw them together and hoped it worked. So here we have Greg Heffley from Diary of a Wimpy Kid. 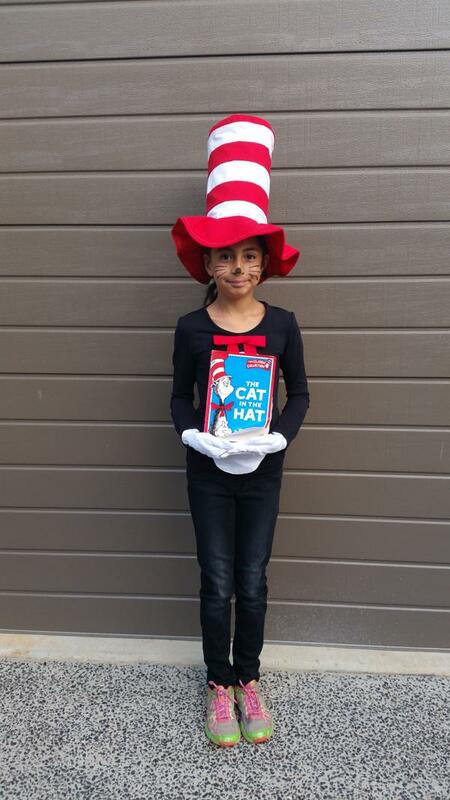 And a Cat in the Hat from Dr Seuss's Cat in the Hat :D That was a mouthful. Then both of then together, They looked pretty awesome together. All the black and white with that bright red was quite stunning. So there are more up close photos of the parts over on andsewwecraft and I will put up a link to that when I finally get it organised. (After Wednesday I just collapsed) and then I spent yesterday doing accounts. The post is written I just need to organise photos.... It will happen! Great job! I love the Greg head in particular. They turned out so great. Love the Diary of a Wimpy kid head. That turned out so perfect. Great costumes. 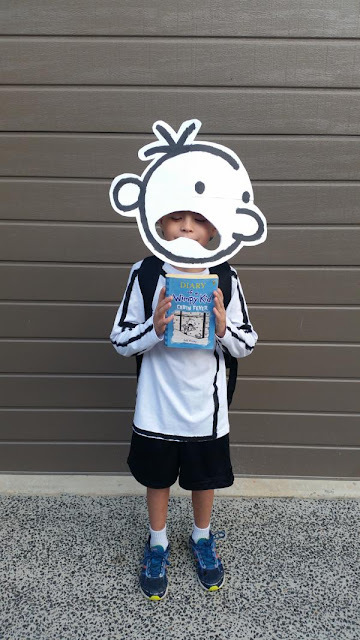 The Wimpy Kid head is inspired!